Corner of Hereford St. + Newbury St. 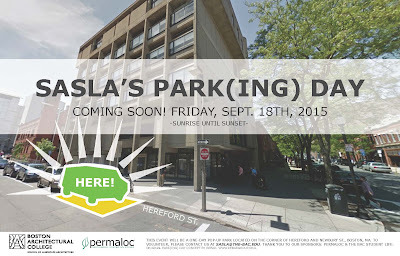 This event will be a one-day pop-up park located on the corner of Hereford and Newbury St. (right outside of the BAC!). To volunteer, please contact sasla@the-bac.edu. Learn more about the national program that is Park(ing) Day!